The 2011 Parade headquarters is the Savannah International Trade & Convention Center (SITCC) which will host our major banquets, Hospitality, Goodie Store, Art Show and other favorites. The convention center is located on Hutchinson Island, directly across from downtown Savannah. 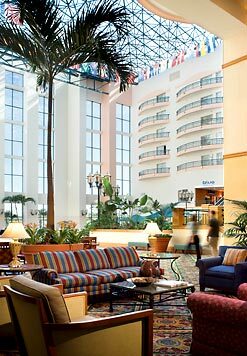 Also on the island is the Westin Savannah Harbor Golf Resort & Spa, and we have two hotels reserved in the middle of the downtown action—the Savannah Marriott Riverfront Hotel and the Mulberry Inn. The night life along the river is continuous, as is the free water taxi transportation across. Those staying on either side will find convenient river taxi stops on the back patio of both the Westin and the Marriott. From the Mulberry, the stop is a block away. It takes 6-10 minutes to cross the river, typically faster than even our Porsches can get across the Talmadge Bridge. We will have Concours prep and car wash facilities at the Convention Center and the Marriott. Please find area information at: http://SavannahVisit.com/. Parking maps now available for downloading for SITCC, Westin, and Events or Marriott. Download a document with all Lodging information as a PDF file or a Word file. You will be eligible to book your hotel room at our special rates once you have registered for the Parade. A link to each facility, along with an authorization code will be provided via email after your have registered. (Please remember to update your email at www.pca.org before registering for Parade.) You will be able to book on-line or may contact the hotel by phone. A deposit of one night’s stay or a credit card hold are required by all locations to hold your reservation. Reservations are subject to availability. Our room blocks release as of July 1, 2011. Please confirm your lodging as soon as possible after registering for Parade to ensure your preference. For those wanting to bring their Recreational Vehicles to Parade, please check out Red Gate Campground & RV Resort, River's End Campground & RV Park, the Biltmore RV Park, or the Georgia RV Parks and Campgrounds website (Savannah parks are located in the coastal area listings near the bottom of the page). Marriott Savannah Riverfront– This great option boasts of Southern charm including easy walking access to the City Market along the banks of the river and the historic district, including the opportunity for a horse-drawn carriage ride! Spa, indoor & outdoor pools are readily available, as is the charming bar area in the lobby. Walk outside to conveniently find the water taxi stand, taking you to the main Parade action across the river in a few short minutes. A trolley stop is also just outside the hotel, offering yet another option to see the historic Savannah sites. Rate: $125 double occupancy, plus $20 for each additional person. Taxes will also be applied; current rate is $13% per room, per night, plus $1.00 occupancy tax per room, per night (subject to change). Our PCA rate is available up to 2 days before and after the Parade dates. Internet: provided complimentary, as is access to the fitness center and recreation facilities. Options: a couple of junior suites are among our block, available on a first-come, first-served basis at $155/night. Other charges apply as above. Mulberry Inn–The quaint Mulberry Inn is another thrifty option that resides in the heart of downtown. This charming hotel was built in 1860 and has a colorful history. The Inn features afternoon tea and an outdoor pool. It is also pet friendly! Rate: $129/night. Taxes will also be applied; current rate is $13% per room, per night, plus $1.75 occupancy tax per room, per night (subject to change). Our PCA rate is available up to 2 days before and after the Parade dates. Parking Fee: Complimentary garage parking, one vehicle per room. Internet: Provided complimentary, as are access to the fitness center and recreation facilities. Options: Standard rooms feature king or dual queen beds, limited suites are also available at $169/night. 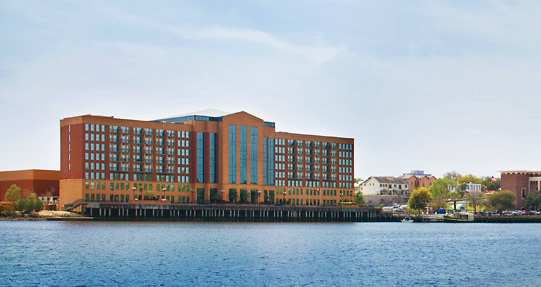 Westin Savannah Harbor–The Westin is a AAA four-diamond resort (with prices to match). Golf is excellent, Spa and fitness center intriguing, and the resort has an outdoor pool and Kid’s Club! The Convention Center is literally next door. Rate: $139 double occupancy, plus $20 for the third guest, and $10 for a fourth. (There is no additional charge for children under 18.) Taxes will also be applied; current rate is 13% per room, per night, plus $1.75 occupancy tax per room, per night (subject to change). Our PCA rate is available up to 3 days before and after the Parade dates. Fee: A daily resort fee of $19/night is charged to cover parking, in-room internet, on-site shuttle service, fitness center, driving range, tennis courts, and the private beach at the Westin Hilton Head (reachable by free shuttle bus).